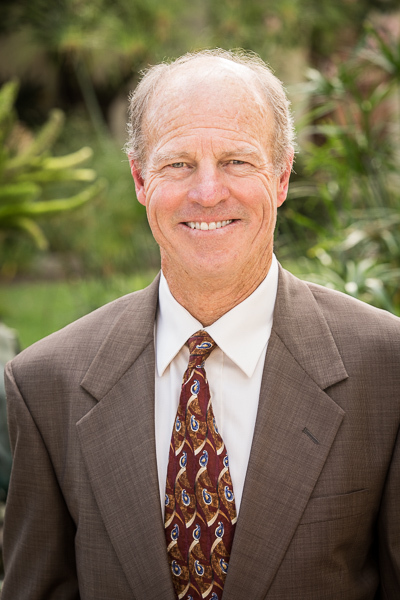 Ed Moore began his career in 1974 as a Deputy City Attorney for the City of Santa Barbara. In 1978, he joined the firm of Westwick & Collison, becoming a partner in 1980. In 1981, he joined the firm of Egenolf & Moore where he practiced until 1993. Thereafter, he was a partner with the Schramm & Raddue before forming the then new firm of Howell Moore & Gough LLP in 1996 with partners Joe Howell and Brian Gough. Ed practiced in the area of civil litigation for his entire career. Among his many clients, Ed represented title companies, real estate brokers, buyers and sellers of real property, general contractors, subcontractors, architects, engineers, and property owners in general business disputes. Ed handled litigation involving construction defects, breach of contract, mechanics liens, landlord-tenant disputes, specific performance actions, claims for real estate commissions, failure to disclose cases, the defense of title companies, and other general business and real property disputes. Ed and his wife Christie have lived in Santa Barbara since 1974 and raised two children, Amanda and Meghan, both of whom are teachers, while Christie is a retired teacher. In 2014, Ed retired from the practice of law to pursue his many outside activities, including tennis, bike riding, wind surfing, snowboarding, travel, and grandchildren.